Kim Soo Hyun is becoming a rising star through his performance in Dream High and The Moon that Embraces the Sun, while Park Tae Hwan is a top class sportsman who won the South Korea’s first ever Olympics Games gold medal in swimming event in 2008 Beijing Olympics Games, and the gold medal in 2011 Shanghai Swimming World Aquatics Championships. The person in charge of Samsung Electronics’ marketing team said, “Kim Soo Hyun and Park Tae Hwan are person with both strength and influence. 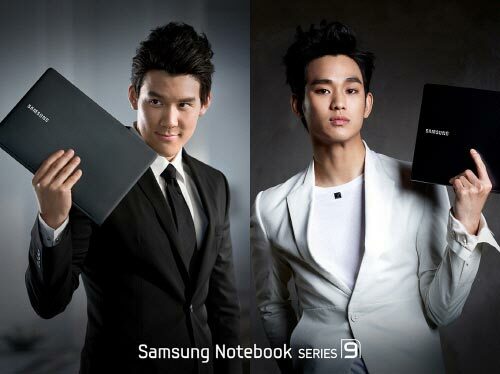 They’re very suitable for the image of Samsung series9 brand, thus they’re selected as the spokesmen. The CF will be revealed in the middle of March.